An important part of Estonia's 'Westernization' was the reconstruction of Tallinn's Ulemiste Airport in the late '90s. 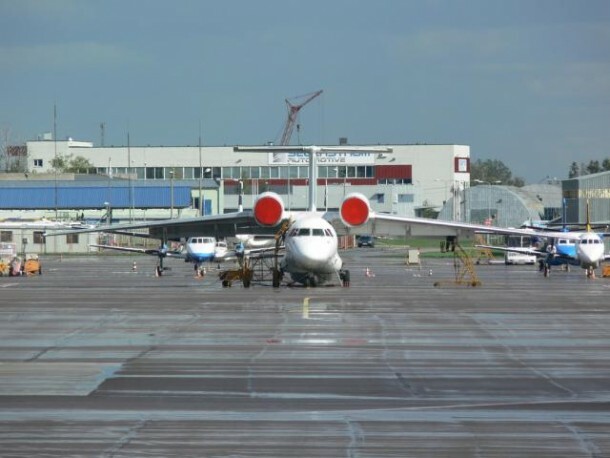 Something of a Soviet scrapheap prior to 1999, today the airport is as modern and functional as any you might find in Europe. Despite being tiny, the airbase handles its traffic with consummate ease, rarely delaying passengers on the way in or out of town. And because of its small size there's no wandering ten minutes down corridors in the wrong direction and nearly missing your flight - something that frequent fliers from London airports are sure to appreciate. Whiling away the time between check-in and take off shouldn't prove too painful either. Last check-in tends to be only 35 minutes from take-off, and there are a decent amount of cafes and a restaurant in which to relax and refuel. Other facilities include three banks, a post office, a host of travel agencies, car hire places and a 24 hr information point. And if you're so rich that you can't get on a plane by yourself then you can take advantage of the airport's VIP service, where a PA will be on hand to minimize any possible exertions on your part. If you're worried about how to get from the airport into the city, don't. Tallinn airport is only 4km from the city, which will cost you a mere 80-100 Kroons in a cab. If you feel that's 80-100 Kroons better spent in the pub then you can always wait for the number 2 bus, which will take you to the centre of the Old Town for a mere 15 Kroons. Depending on the time of day, and whether it is a weekend/weekday it leaves between every 20-50 minutes. Minibuses are also on hand and timed to meet every flight. 20 Kroons will transfer you into town. For more information on Tallinn Airport please visit the airport's official website. Albert - you're a muppet. Most top airports allow you to check their website for arrivals and departures. Coolman isn't an unreasonable dafty. What if he didn't know the airline of a friend arriving in town? Check every possible carrier? Naw pal. There's no need to be snidey. It is an Antonov An-74. The engines are mounted above the wing, so that the exhaust gases add extra lift - known as the COANDA EFFECT. Very good for take off and landing on short runways. Used in very cold (polar) regions too.